Dr. Marco Bezzi received his undergrad training in Bologna, Italy, at the University of Bologna and at the St.Orsola-Malpighi Polyclinic (Bologna), where he studied the role of N-Myc in pediatric tumors in the Tonelli-Pession Lab. He went on to get his the BS in Biotechnology and a MS in Molecular Biotechnology. 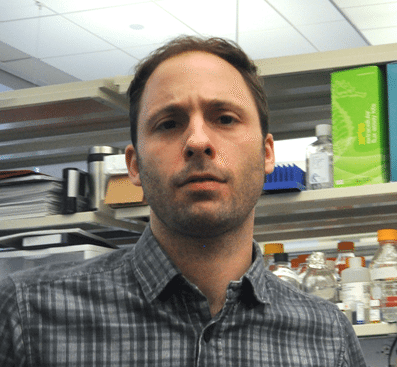 Dr. Bezzi obtained his PhD at the Institute of Molecular Cell Biology (IMCB), in the Guccione Lab, at the National University of Singapore, and is currently a Jane Coffin Childs Fund Fellow. The main focus of his thesis was the role of PRMT5 in mammalian development and cancer. Dr. Bezzi’s recent works lead to the discovery of critical regulation of alternative splicing in neural development, hematopoietic development, lymphoma, glioma and melanoma. Dr. Bezzi is currently studying prostate cancer genetics and microenvironment. His goal is to uncover actionable pathways for the combination of personalized medicine and immunotherapy. His current projects include: a novel murine platform for genetic driven translational cancer research, RNA processing and immunotherapy, novel methods for organoids culture.